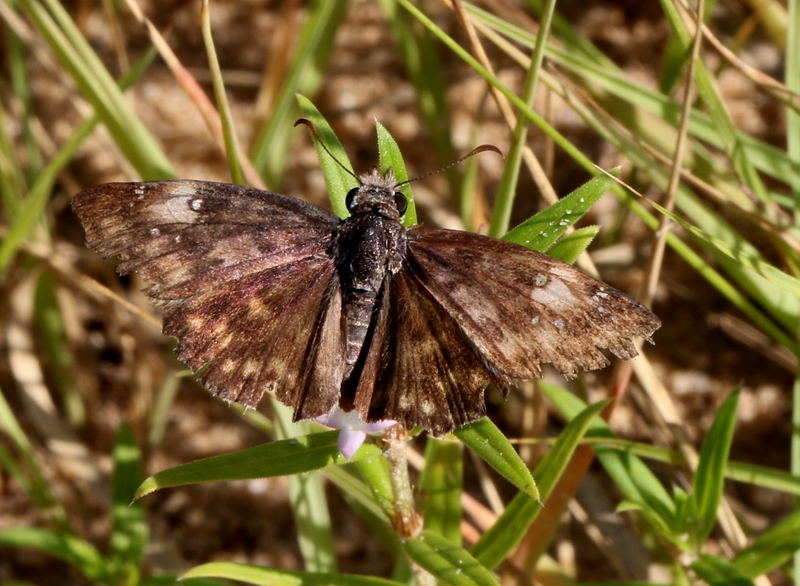 Observation notes: Admittedly,this is a very worn Mottled Duskywing, but you can clearly see the patterns that define the species on the FW and HW. The HW pattern is not seen on any other duskywing in our area. Mottled Duskywings fly differently from other duskywing species, and I first saw the familiar flight pattern that made me take a closer look.